It’s good news for dotgay LLC’s effort to secure a top-level domain for the LGBT community. ICANN — the Internet Corporation for Assigned Names and Numbers — has accepted dotgay’s request for reconsideration. Although the 32-page decision for reconsideration by the Board of Governance Committee rests on a technicality — evaluators “inadvertently failed to verify 54 letters of support” — the decision means that a brand new evaluation with new evaluators will now take place. “This is a huge win for our community,” said Jamie Baxter, spokesperson and vice president of marketing for dotgay LLC. Last October, ICANN denied community status to .gay. While dotgay LLC passed the initial evaluation process, it fell short in the Community Priority Evaluation (CPE) phase. In determining CPE, ICANN relied on a third-party evaluator, the Economist Intelligence Unit (EIU), which is a part of The Economist Group and The Economist magazine. However terms like “gay rights,” “gay pride” and “anti-gay” are “globally used under an inclusive interpretation or umbrella term in mainstream media on a daily basis,” according to a dotgay LLC press statement. Oddly enough, The Economist magazine uses the word “gay” to refer to all segments of the LGBT community and “goes on to describe the colorful acronyms that ‘gay’ encompasses, extending out from LGBT to intersex and queer,” said dotgay LLC's Baxter. The complete decision is available at https://www.icann.org/en/system/files/files/determination-dotgay-20jan15-en.pdf. The above story is a follow up to http://presspassq.blogspot.ca/2015/01/top-story-support-from-community-builds.html. BAY WINDOWS, based in Boston, entered its 31st year of publication with its December 11, 2014, issue. CAMP, based in Kansas City, Mo., celebrated its 11th anniversary with its December 2014 issue. LESLIE FEINBERG, an author, journalist and activist best known for her book “Stone Butch Blues,” died November 15, 2014, at the Syracuse, N.Y. home she shared with her spouse of 22 years, MINNIE BRUCE PRATT. Feinberg was 65. GAY CITY NEWS, based in New York City, launched its first annual Best Of readers’ choice awards contest. 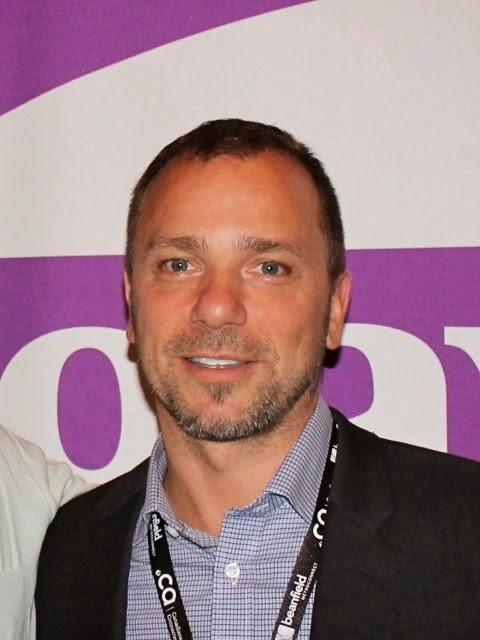 RICHARD HACK is the new publisher of GUY MAGAZINE, based in Fort Lauderdale, Fla. He continues as editor in chief of the publication as well as publisher and editor in chief of its sister publication, AGENDA. 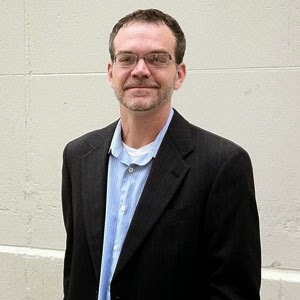 Also, KEVIN HOPPER was promoted to senior vice president and chief operating officer of MMP WORLDWIDE INC., the publications’ parent company. Hopper remains associate publisher of both publications. JERRY JONES, publisher of OUT AND ABOUT NASHVILLE, married his partner BENJAMIN CAMARENA GARCIA at a private ceremony in Springfield, Ill., on September 30, 2014. LANCE RYDER is the new food and beverage critic and contributor at SAN DIEGO LGBT WEEKLY. QVEGAS, based in Las Vegas, announced new, lower advertising rates for 2015. JERRY TALLMER, the famed New York art critic whose work appeared in the GAY CITY NEWS and was a founding editor of the VILLAGE VOICE, died on November 9, 2014 at a Manhattan hospice. He was 93. WINDY CITY TIMES, based in Chicago, entered its 30th year of publication on October 1, 2014. Yet another gay publication has launched in South Florida with the debut on Jan. 19 of LGBT Business News. 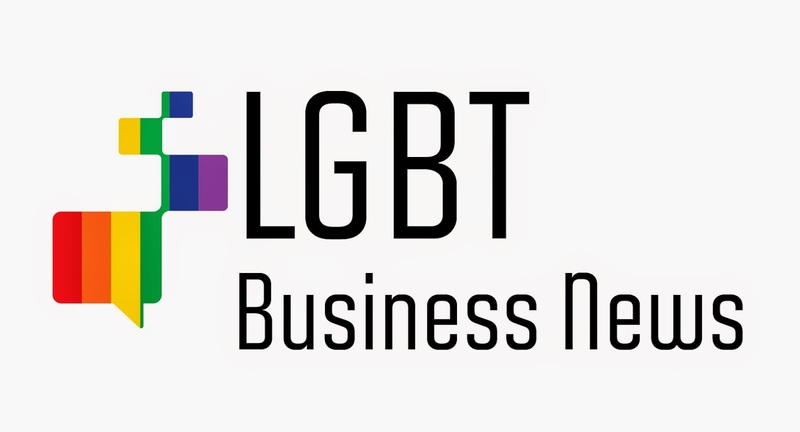 LGBT Business News, a print and digital media company, is producing a full-page biweekly print publication and a monthly magazine, as well as maintaining a website. The focus of the new media outlet is LGBT-friendly companies and LGBT-owned businesses as well as executives, entrepreneurs, employees and business trends. In debuting LGBT Business News, the company announced a print and distribution partnership with the Miami Herald. "With the Miami Herald as our print and distribution partner, LGBT Business News will print 138,000 biweekly and 100,000 copies of the monthly magazine, making LGBT Business News the largest LGBT business news publication in the U.S.," said Arnel Trovada, chief executive officer and publisher of LGBT Business News. "We are very excited about working with LGBT Business News," said Samuel Brown, vice president of advertising for the Miami Herald. "The LGBT community is important to us, and we want to enhance our relationship with them through this partnership." According to a press release, the editorial focus of the publication is 100 percent business news — from the Fortune 500, Forbes 500 and INC 500 to LGBT-friendly companies and LGBT-owned businesses. The online content will feature expanded news stories and exclusive content not available in print. Other online features include user-friendly news and events pages allowing businesses and organizations to publicize and promote their events on www.lgbtbusinessnews.com. LGBT Business News will publish bi-weekly as a section within Business Monday in the Miami Herald. It will also publish 100,000 copies as a monthly magazine supplement inserted into the Herald. It will not publish as a stand-alone publication. Full-page features would appear in the Miami Herald's Business Monday. The monthly magazine will be distributed to 100,000 of the Herald's subscribers and retailers including Publix, Starbucks, Walmart, Barnes & Noble and 7-Eleven, according to the press statement. In launching LGBT Business News, the company is convinced that marketing to the gay community is good for business. For instance, LGBT Business News cites Witeck Communications’ marketing research, which estimates that “our” community has more than $800 million in buying power. Witeck Communications is a leading strategic marketing communications firm based in Washington, D.C. In addition, according to the Witeck study, LGBT customers’ purchasing patterns showed that brand loyalty means much more to the LGBT community than price. That is to say nearly 71 percent of the LGBT adults surveyed said they are likely to remain loyal to a brand they believe to be very friendly and supportive to the LGBT community even when less-friendly companies may offer lower prices or be more convenient. Population growth also bodes well for the introduction of a new publication. Florida has the third largest LGBT population in the country, according to the U.S. Census. The Miami Metropolitan area has an adult LGBT population of approximately 273,540 and attracts 1.2 million LGBT visitors annually, according to Miami LGBT Visitor Center. As more LGBT executives and entrepreneurs continue to make national news — Tim Cook, chief executive officer of Apple; Kevin McClatchy, chairman of the McClatchy Company, parent company of the Miami Herald; and Chris Hughes, the co-founder of Facebook — publisher Trovada believes that an exclusive business publication for the LGBT community has huge potential for growth. The Miami metropolitan area is the first market for the publication, he said, but there are plans to publish LGBT Business News in other major markets. Historically, LGBT publications’ expansions to other cities — think Window Media and HX — have not been successful in the long run. In other words, LGBT Business News is a niche player entirely focused on business. In a significant strategic repositioning, Canada’s leading gay and lesbian publisher, Pink Triangle Press (PTP), announced this month that it would move to an all-digital platform. Consequently, in February, PTP is closing print editions of Xtra, Canada’s leading LGBT newspaper, in Toronto, Ottawa and Vancouver. The final print issues of Xtra Vancouver and Xtra Ottawa will appear on the streets on February 12. The Toronto edition of Xtra will close on the newspaper’s 31st anniversary, with the final issue distributed on February 19. In making the all-digital move, PTP will focus on developing its journalism website DailyXtra.ca and gay adult dating website Squirt.org. The all-digital direction is a result of an eight-month strategic assessment process that senior management at PTP began in spring 2014. “For most of the past year, our management team worked with external advisors to arrive at an answer to this question: How can we best use our resources to continue to promote sexual freedom in a financially sustainable manner? We have concluded that a complete transition to digital media offers the best opportunity to continue to engage our audiences over the long term,” said Ken Popert, executive director and president of PTP, in a press statement. Popert said that the move to all-digital journalism would bring with it significant benefits, including a wider audience for PTP’s message, greater currency, more effective advocacy and global news combined with local action. As a part of its repositioning, PTP is also launching a new Social Sponsorship program. This initiative would offer a continued presence on the ground in its communities and open up the DailyXtra digital space in new ways to organizations and audiences, encouraging community involvement and enhancing PTP’s journalism as a social experience. The program is in an initial testing phase in the Toronto market. In fact, as print advertising has declined over the years, “90 percent of our revenue comes from the digital operations on Squirt.org,” said Popert over the telephone from Toronto. “PTP has survived for more than four decades because it has not been afraid to innovate in the way we earn our money and deliver our message,” said Popert. The print newspaper closures necessitate a cut in staff of 12 full-time employees from the company’s publishing and administration divisions. But five new digital positions are to be added. Overall, as a digital publisher, PTP will employ 57 people in Ottawa, Toronto and Vancouver. Founded in 1971 to advance the struggle for sexual liberation, Pink Triangle Press’ defining activity is lesbian and gay journalism. Over four decades, PTP grew from a small grassroots operation to one of the most diversified gay multimedia enterprises in the world, with a roster of brands ranging from print to online publishing and television production. The announcement on Bilerico’s website could not have been any clearer: “When the Smithsonian comes calling, you answer the door,” wrote Bil Browning, co-founder and publisher of The Bilerico Project. The Bilerico donation — Collection #1334: The Bil Browning and Jerame Davis Papers — is substantial and includes an extensive collection of papers and memorabilia collected during their time advocating for LGBT civil rights in their native Indiana and beyond. In a Facebook posting, Browning discussed in some detail what the donation includes. LGBT bloggers and activists welcomed news of the donation. "I am thrilled to see the Smithsonian include the history of our movement online and there is no better work than that of Bil and Jerame to lead the collection,” said Mike Rogers, vice chairman and managing director of Raw Story Media. “Their work represents the rare combination of activists (leaders in Indiana's LGBT movement) who have also been both journalists and staff on a national level. The totality of their story is a great representation of a generation of online activists. The work of bloggers is as important as any generation's independent voice and to exclude them from the records of history would deny the important roles these sites have played in the movement. I commend the Smithsonian for including these important records in the nation's history." Jos Truitt, executive director of Feministing.com, an online community run by and for young feminists, also welcomed news of the donation. “My friends and I often talk about how relatively little of our queer/trans history we have access to, so it's pretty amazing to know this collection will be in the Smithsonian representing some of the story of a really important period in the LGBT rights movement,” she said. And Rebecca Juro, media correspondent for Advocate.com and a Gay Voices contributor at The Huffington Post, offered her perspective. "This is just wonderful and so well-deserved,” she said. “In 2007, when almost no one else was interested in trans writers and content, Bil Browning and Jerame Davis put a couple of loudmouth trans women who were basically unknown outside the trans community, Marti Abernathey and I, not only on their contributor staff, but also on their editorial team, and basically said, ‘Go! Help us build trans representation at Bilerico.’ There have been a few bumps and bruises along the way, but The Bilerico Project has been a real pioneer in bringing the voices of trans people into LGBT commercial media. In fact, I'd argue that every trans blogger and journalist being published today owes Bil and Jerame a debt for helping to create commercial LGBT media space for our voices at a time when not many sites were willing to take a chance on us. I know I do." The effort of dotgay LLC to secure a top-level domain (TLD) for the LGBT community hit a significant roadblock when ICANN — the Internet Corporation for Assigned Names and Numbers — released results late last year that denied community status to the .gay application. The decision to deny priority status for the only community-based application for .gay is a huge setback, potentially requiring the community to buy the TLD at auction. ICANN is the non-profit corporation, which serves as the governing body for domain names and addresses on the Internet. The rub for ICANN evaluators was that that .gay did not meet the standards for community designation, explained dotgay LLC spokesperson and vice president of marketing Jamie Baxter over the telephone. However, terms like “gay rights,” “gay pride” and “anti-gay” are “globally used under an inclusive interpretation or umbrella term in mainstream media on a daily basis,” according to a dotgay LLC press statement. Sure enough, the effort to gain community status for .gay is not over. “Swift and steady reaction from LGBTQIA organizations and media have drawn unwanted attention to ICANN, with hopes the Internet's governing body will take another look at the unwarranted and indefensible scoring of dotgay's application,” according to a dotgay LLC newsletter. A decision is expected soon, with strong community opinion in favor of such a move playing out in the gay press and on social media. Meanwhile, letters supporting reconsideration for .gay have been submitted by a number of organizations, including the International Lesbian, Gay Bisexual, Trans, and Intersex Association (or ILGA), the National Gay and Lesbian Chamber of Commerce (NGLCC), The Federation of Gay Games, the International Gay and Lesbian Travel Association (IGLTA) and Dr. David Gudelunas. Just as national gay and lesbian chambers of commerce in Argentina, Canada, Columbia, and Mexico co-signed NGLCC’s letter, so more than 80 groups from around the world co-signed the Gay Games' letter. Writers in LGBT media outlets are also raising voices for a favorable reconsideration. “We need to do everything we can to make it clear that LGBT people are a distinct community, and one deserving of community priority evaluation for .gay,” wrote Rob Buchanan in The Out Most, an online gay media outlet based in Ireland. “The very existence of a market for .gay proves that it has a significant potential value, and a large, self-identifiable target audience. It’s absurd that organizations for LGBT community should not be given priority access. More than most minorities, LGBT people rely massively on the Internet, to relieve isolation, to access vital health and education materials. Young people and closeted people especially avail of the relative anonymity and security the Internet provides. For millions, it is the primary method of discourse and dissemination of information, filling a huge gap that other heterocentric media entirely ignores. Other LGBT outlets than ran stories include Boston’s The Rainbow Times, The Agenda Florida Edition and Oklahoma-based The Gayly. Dotgay’s letters in support of reconsideration and other materials are available at https://www.icann.org/resources/pages/14-44-2014-10-22-en. For further information or questions, and anyone wishing to lend a lend a hand in some way, contact Jamie Baxter at Jamie@dotgay.com.